Stevens Traditional Resource Pack 1.13.2/1.12.2 for Minecraft is a 64x Resolution Pack which uses the well known “Faithful” approach of taking Mojang’s Ideas or Style for Textures and redo them in much higher quality. 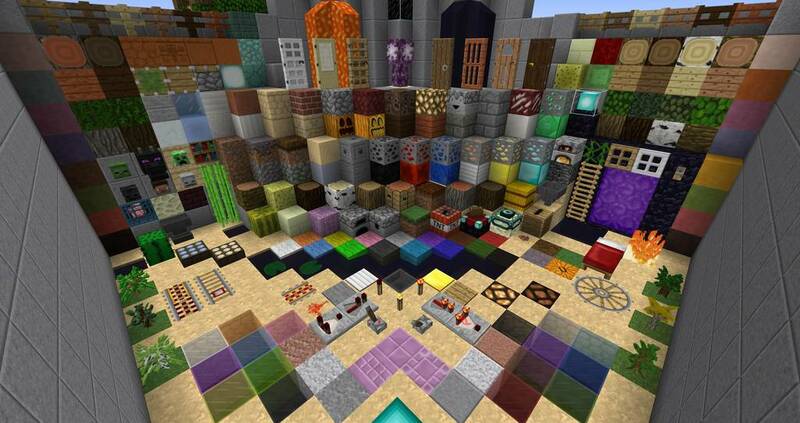 But this Resource pack does not only supply the usual Textures, but also features an Online Website where you will see Changelogs for every Version, as well as direct download Links without an annoying (Ad link removed) Link or similar redirections, a Feature list, a Customizer where you can create own Addon Packs which change the GUI Textures or change Block and Item Textures. Certain Mods are also supported like Optifine’s CTM Feature which is used a lot in this Pack, having various Blocks Connected or have random Variants to make it more interesting.